We create mobile first digital products. We work with startups and enterprise companies. Our expertise includes UI/UX Design, native iOS and Android Apps, Web Apps, Internet of Things solutions (IoT), Smart Sensors, Chatbots and much more. We handle apps, web apps, internet of things, industry 4.0, smart sensors, chatbots.  We are curious about what’s next, we love to test and experiments the latest technologies, willing to leverage them to benefit the iPhone apps, Android apps and web solutions we are working on.